Finally, a book that looks at Reiki from the client’s perspective. Whether you are searching for relaxation, healing, or spiritual growth, a Reiki treatment can be a revelation. Find out how to make the most of your Reiki experience. Learn how to prepare for your treatment, what to expect during the session, and how to continue furthering your personal growth after the treatment is finished. Written by Bronwen and Frans Stiene, the founders of the International House of Reiki. Read by Bronwen Stiene (Logan). What is Your Reiki Treatment about? Your Reiki Treatment is an excellent guide to everything about Reiki treatments for both clients and professional practitioners. Included are explanatory case studies, tips and research in an “easy to find” format. 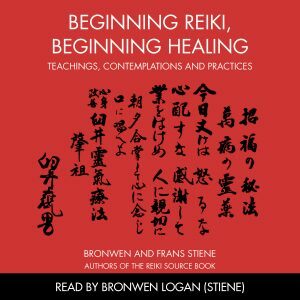 Bronwen and Frans are to be congratulated on creating this very grounded guide that will aid the work of integrating Reiki into the 21st century and the growing field of Integrated Medicine. In the UK we are moving rapidly towards many more healers working within the statuary sector. This book will aid the therapist to work effectively and most importantly help safeguard the all important patient . Your Reiki Treatment is a “must have” for any professional Reiki practitioner, as well as the perfect resource for people interested in discovering the practical and spiritual benefits of Reiki as a system of healing. It is often said that the best way to understand Reiki is to experience a treatment, and this book both covers professional considerations of treatment and answers many questions that one would have as a client, such as how to prepare for a treatment, what to expect during a treatment (including how Reiki feels), and how healing can show itself afterwards. 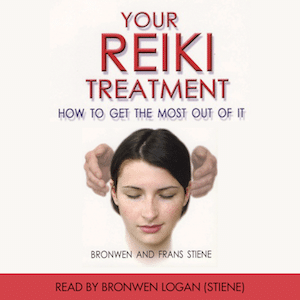 In including relevant scientific studies and statistics along the way, Bronwen and Frans Stiene have once again taken us on a well-researched and illuminating journey into the fascinating world of Reiki healing. Your Reiki Treatment offers sensible, 21st century guidelines for choosing a practitioner and a reassuring preview of what to expect before, during, and after the treatment. Wonderful anecdotes highlight the humanity of the practitioner-client relationship. Impressive statistics from complementary medicine research offer persuasive evidence of the therapeutic value of Reiki for any readers who remain to be convinced. A must-have book, too, for practitioners who want to abide by the highest professional standards. 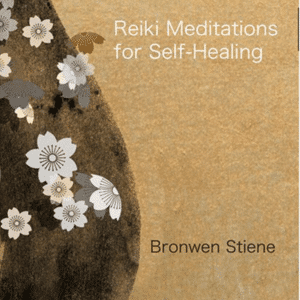 Bronwen and Frans Stiene have added a new member to their family of well researched and clearly written Reiki books. “Your Reiki Treatment” describes what you can expect from a Reiki session and what you can do to maximize your experience. I recommend this book for those new to Reiki, and also to Reiki professionals who wish to respond to the call for standardization of treatment and training. Once again these dynamic pair of Reiki Teachers has brought forth a practical book, this one dispels myths and answers the many questions one might have concerning Reiki treatments. It is clear that they have devoted time and energy into their art and understanding of the system of Reiki. I applaud them on this work and look forward to more. Keep writing and sharing your wisdom and hearts. Over the past several years of being exposed to Western style training, I was truly left feeling very empty and directionless. In many ways, I feel that the past several months of reading Bronwen’s and Fran’s books have begun to help refocus me. This latest book is VERY grounding, practical, realistic and helps describe what the client could expect. This is also good for the practioner…and what they can expect. In many ways, I feel that the Western style of training has different expectations, which in the past had left me directionless. Initially, I thought the book was going to be about the classical “what a client can expect at a session”. What I found though was that the book contained a lot of early Japanese Reiki wisdom that help tremendously to reshape my view of Reiki in a more healthy way. The original tradition of Reiki has so much to offer…most of which that has gotten lost through time. I thought I knew all about Reiki however this books made me enthusiastic all over again. Using fresh ideas and simple logic the authors put their heart into it. 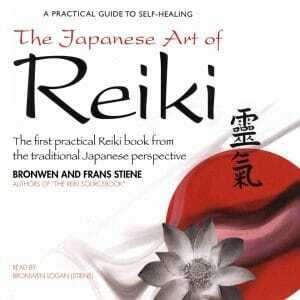 Whether you are new to Reiki or just using this a a refresher I highly recommend you keep a copy in your Reiki library. I refer to “Your Reiki Treatment” on a regular basis. Thank you. This is a very well written book packed with invaluable information. It assists in choosing an appropriate Reiki treatment. Dissects the experience of a professional Reiki treatment. Guides you in the post-treatment. Your Reiki Treatment is a must-have for anyone considering Reiki. And thanks to the authors for “keeping it real”.